The Bulldogs have been the surprise of 4A DII, and have worked themselves into the title mix in just a matter of weeks. 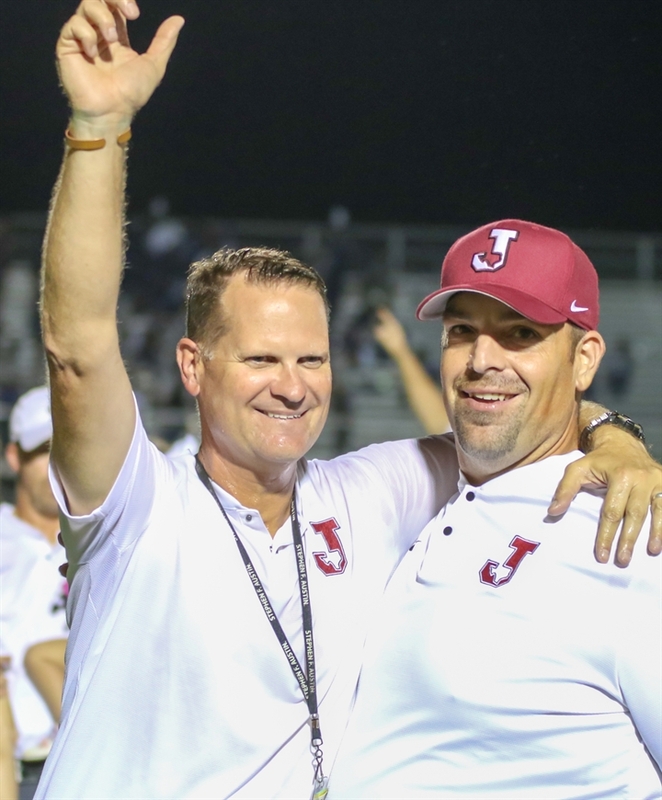 Before Jasper hosted West Orange-Stark in Week 6, there were a few questions about just how good the Bulldogs were this season. 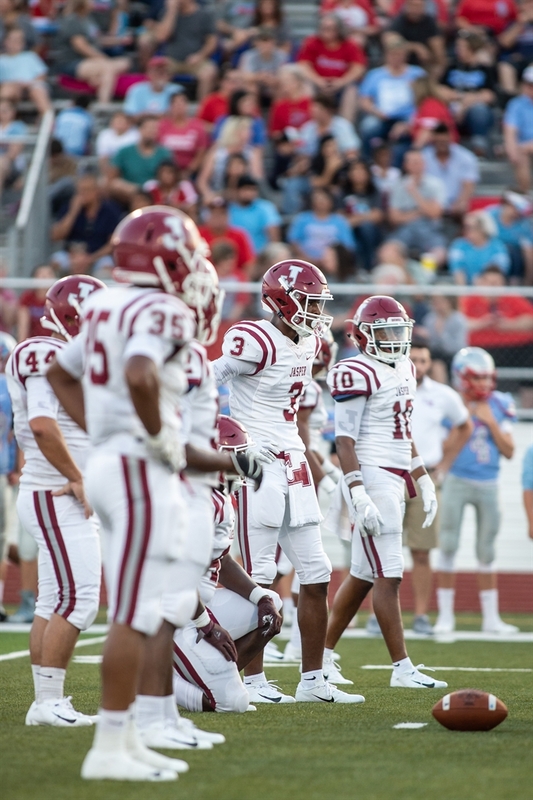 There was no doubt Jasper was the favorite in District 9-4A Division II, but the Bulldogs’ first five games of the year featured matchups against teams that now have a combined record of 8-28. Jasper cruised past those teams by an average of more than 36 points. That’s what made the 34-24 win over perennial power West Orange-Stark so important. The Bulldogs built on that win with a 2-0 start in district, defeating Shepherd and Huntington by a combined score of 119-3, moving the team to a perfect 8-0 entering an open week this week. Barbay knew his defense, which returned five starters, would be the key to a big season and the unit has lived up to those expectations so far. Jasper is allowing an average of less than nine points per game and has allowed more than seven points on just three occasions this year. The dominance starts with linebacker Will Bluitt, who is a versatile three-year starter with the toughness necessary to set the tone for the rest of the defense. Bluitt has a team-high 49 tackles and six tackles for loss while Brashaun Hubbard has chipped in 25 tackles, nine tackles for loss and 5.5 sacks. Barbay also spoke highly of safeties Cam Adams (36 tackles) and Terrien Collins (20 tackles), who have stepped up over the last few weeks. Collins has a team-high five interceptions and both players have a pair of fumble recoveries. The offense has taken a step forward this year thanks to the play of quarterback Colton Womack, who became the starter after serving as the team’s backup last year. 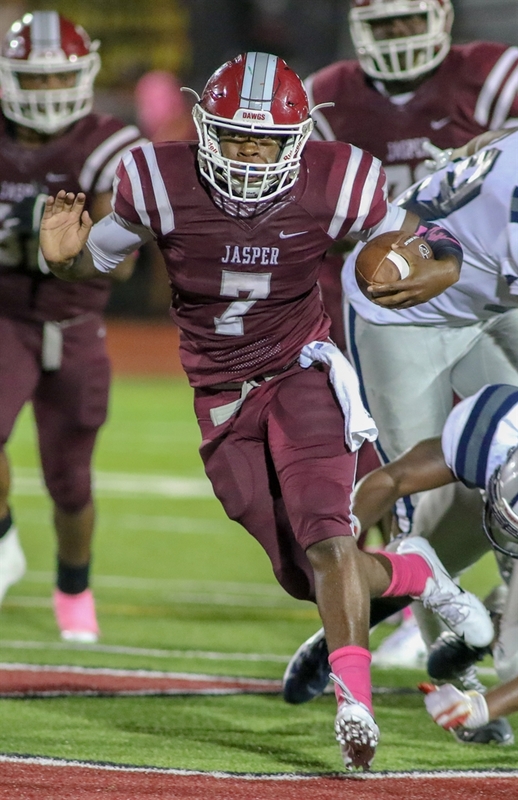 Jasper averaged 37.9 points per game last season and is scoring more than 48 per game this year, as Womack has efficiently managed the offense while throwing for 847 yards, 11 touchdowns and no interceptions. Womack manages the offense well and gives the Bulldogs the home run plays they need to keep the offense balanced, but Montavien Hunt is the workhorse in the backfield. He’s already racked up 1,397 yards and 18 touchdowns on just 105 carries, helping Jasper average more than 325 yards rushing per game. “I don’t know if we’re the fastest team, but when the game has ended it looks like we have the fastest player on the field every week,” Barbay said. “He has the ability to score from anywhere at any time. He’s a very humble kid and he’s a good leader for us. He leads by example for us. He’s very explosive because he’s so fast. After an open week this week, Jasper will close out the regular season against Cleveland Tarkinton (2-6) and Center (4-3) before beginning its push for a state championship. The Bulldogs know they may see West Orange-Stark again in the postseason, and they’ll focus on preparing for that matchup by continuing to increase their intensity in practice. “We certainly think we’ll see them again at some point, and we’re going to have to play extremely well again,” Barbay said. “It’s hard to beat someone twice. We’ll have our work cut out for us. We just need to practice hard, take care of our business and worry about ourselves. If we do that, we have a chance to be pretty good.